Many Learning Management Software (LMS) buyers are overwhelmed by dizzying pricing pitches of different LMS vendors, each one positioning their price to be the best. On the surface, many web based LMS look like a fantastic deal. Be a smart buyer. Know how much LMS products would really cost before subscribing to one. Find out your options in this review of the costs and pricing models of learning management systems. 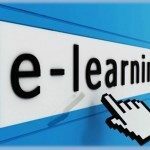 The Costs: What is the final LMS price? Licensing fees give you access to course content and LMS features, such as, skills gap analysis, progress tracking, and reporting. This is the main price of the LMS and often published as the lowest range to entice you (for example, “as low as $10”). Here’s a tip: always expect to shell out more than the published rate. A setup fee may be charged to install the software in your server or computer, or create your user account in the vendor’s server. This can be a hidden cost; vendors are known to indicate a setup fee will be charged, not on the homepage, but in the the fine print of terms and conditions. Meanwhile, a support fee may be pitched as an add-on to train your group on how to use the LMS tools or troubleshoot for glitches. Some vendors offer this LMS feature for free as a come-on or as a limited feature during the demo period. The varying pricing models used by LMS vendors seem to make us compare apples to oranges between products. The trick is to analyze the features and calculate the final price and see which LMS product comes at the top. But before you can do this, you need to know the standard pricing models used by most LMS vendors. You are charged with a flat fee per user per month no matter how much training you get. The training may be limited to a module; using another module may loop you into another flat fee. This setup can also include a one-time setup fee. This pricing model generally hovers around $5 per user per month, but for bigger groups the price can be scaled down to $0.50. This model can be tricky. Confirm the vendor’s definition of “per use.” It can be per module, per course, per elements in the course, or per minimum number of learners. Expect to find this finer definition in the details, so check the terms. LMS using this model can range from $0.50 to $10 per learner per course depending on vendor specifics and size of your group. At the outset this model looks expensive, but check the terms; they can be cost-effective if you’re into LMS for the long haul. 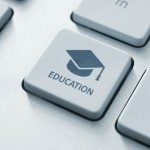 You are charged with a one-time upfront fee to use the software for the entire course duration, or it can also be an annual or monthly license fee as long as you use the LMS. Furthermore, watch out for annual support fee. This pricing can range from $500 annual license to $20,000 up for a one-time license. These are the standard pricing models and it’s likely you’ll come across any of them once you do a comparison of the costs and pricing models of learning management systems. But bear in mind there are other pricing models that may be specific to a product or a variation of the two or all of the models above. With a good grasp of standard LMS pricing, it should be easy to discern which pricing works for you.